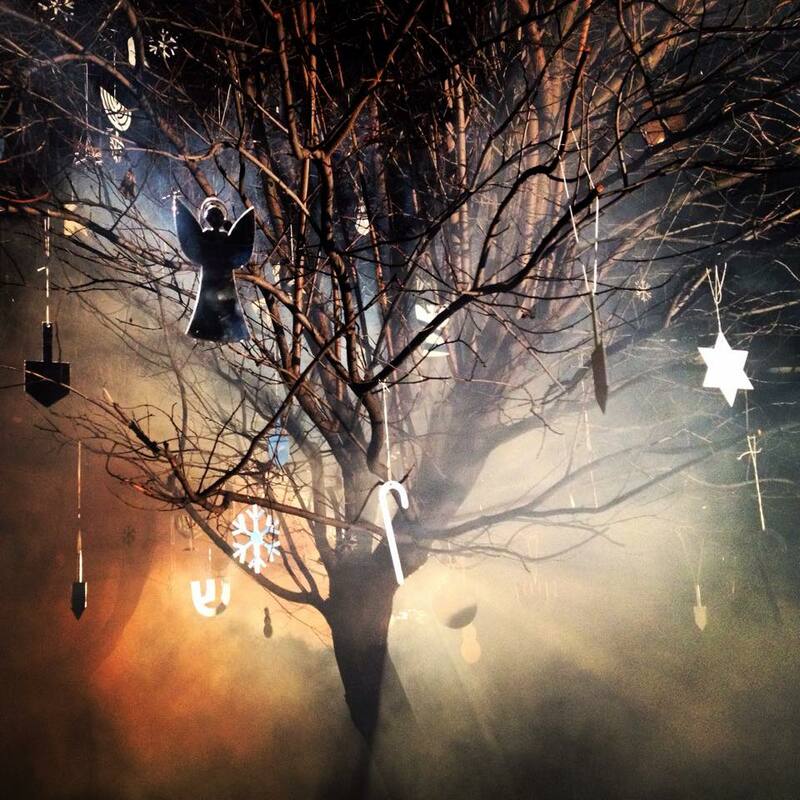 On December 18, 2014, the Machers (Kraków Jewish Culture Festival Volunteers) and Mi Polin (art duo: Helena Czernek and Aleksander Prugar) surprised the Kazimierz District of the City of Kraków with Hanukkah-Christmas Trees. Christmas trees on Brzozowa square in the formerly Jewish Kazimierz district of Kraków were secretly decorated with beautifully designed and glittering menorahs, stars of David, dreidls, and snowmen, in addition to traditional tree ornaments associated with the Christian celebration of Christmas. The glass Christmas-Hanukkah tree decorations reflect their shapes on the walls of the houses surrounding the district square in Kazimierz. Passersby were intrigued by the spectacle. The purpose of this project is to highlight the dual Jewish-Christian character of the district of Kazimierz. On December 6 at Stanford University, Taube Hillel House (Hillel is the foundation for Jewish campus life at colleges) reverberated with the beats of Polish DJs at its annual "Light It Up" Hanukkah party. Brought for the first time to California by the Jewish Culture Festival in Kraków (which will be celebrating its 25th anniversary next Summer), "From Poland with Beat" fosters cross-cultural musical exchanges and brings the experience of the Kraków Jewish Culture Festival to new communities. The first performance took place in Tel Aviv, and subsequent presentations were held at Hillel at Stanford and other venues in the San Francisco Bay Area. The Polish DJ collectives, Easy Cheesy and MLDV, mixed the best of Israeli, European, Turkish, and Arabic vintage music with the greatest hits of the 60s and 70s -- the golden era of the Polish music scene. Young Jews and Poles living in the Bay Area, part of the modern and growing Polish diaspora, crowded into Stanford University's Hillel and celebrated all night, joining line dances and eating traditional Polish and Jewish treats. The event was sponsored by the Polish Ministry of Foreign Affairs and the City of Kraków, in partnership with Hillel at Stanford, the San Francisco-Kraków Sister Cities Association (supported by the Taube Foundation for Jewish Life and Culture), and Taube Philanthropies. Tad Taube, Chairman of Taube Philanthropies, said: "This party epitomizes the dialogue we want to create between the sister cities of San Francisco and Kraków. 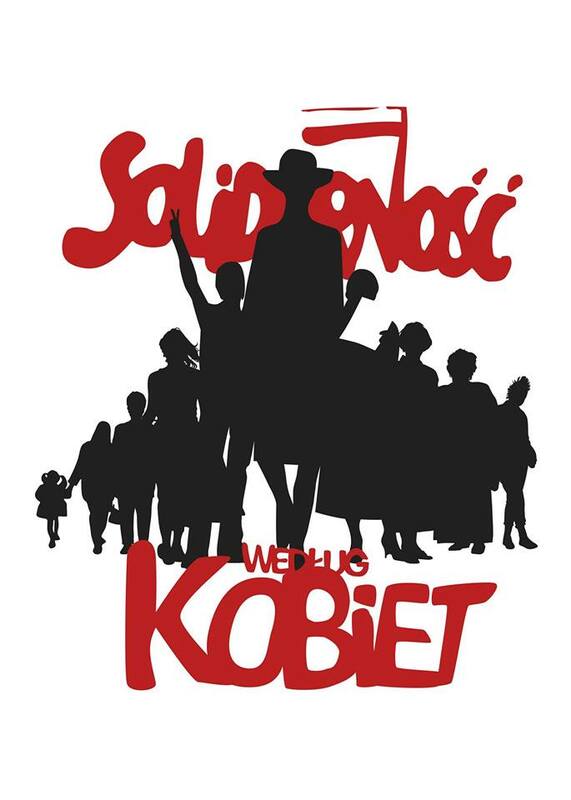 We want the younger generation of Jews to see their connections to Poland, where 85% of North American Jews have their roots." Said a Hillel student, “We have been waiting for such an event for a long time. Thank you for bringing this experience to us!” The Kraków Jewish Culture Festival, Hillel at Stanford, and Taube Philanthropies hope to make this party an annual event. The upcoming 70th anniversary of the liberation of the Nazi German concentration and extermination camp Auschwitz-Birkenau will be commemorated in front of the Death Gate of KL Auschwitz II–Birkenau on 27th January 2015. The organisers of the commemoration are the International Auschwitz Council and the Auschwitz Memorial. The commemoration will be held under the patronage of President Bronisław Komorowski, who will also be present during the ceremony. This year, the focus of the event will be on the remaining Auschwitz survivors, three of whom will give public speeches. Following the decision of the International Auschwitz Council, the programme will not feature speeches from politicians. In the run up to this important event, the Auschwitz Memorial has prepared a set of basic, though not always universally known, facts regarding the concentration camp. They are designed to help prepare materials and to avoid slip-ups, which include the commonly used, misleading phrases “Polish death camps” and “death camps in Poland”. These terms falsify history. Auschwitz-Birkenau was established and managed by the order of Nazi German authorities. It is true that before the outbreak of World War II, Auschwitz (Oświęcim) was a Polish city; however the KL Auschwitz-Birkenau camp was German and it was established on a territory by then directly incorporated into the German Reich. This is an important distinction to make, as otherwise one runs the risk of unintentionally blurring historical truth about some of the most horrific crimes perpetrated in the 20th century. To further highlight the sensitivity of this subject, on 27th June 2007, the World Heritage Committee of UNESCO changed the name of the Auschwitz-Birkenau heritage site to: "the Auschwitz-Birkenau Nazi German concentration and extermination camp 1940-1945". 2. Information about the camp - media pack prepared by the State Museum Auschwitz-Birkenau can be found here. 5. Hundreds of documents and photos that are being stored in the archive of the Auschwitz Memorial are being presented by the Google Cultural Institute. 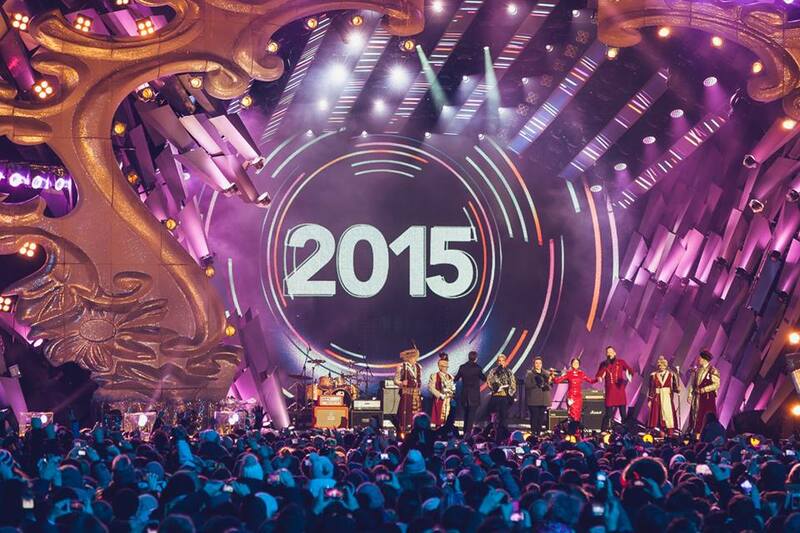 Kraków celebration of New Year's Eve -- Main Market Square! Three leaders of the Children's University, headquartered in Kraków, are visiting the San Francisco Bay Area under the leadership of Agata Wilam and two colleagues, Agnieszka Napora and Ewa Golik. Children’s University would like to establish ties with local elementary and middle school teachers and administrators, especially those from public schools. With the help of scientists, artists, inventors, and professors, they are developing lessons plans and educational resources to share with educators, in both English and Polish. They also organize Saturday morning lectures with distinguished faculty at Polish universities for thousands of youth. If you would like to learn more or assist with their efforts to promote creativity and innovation among youth both in Poland and the San Francisco Bay Area, please contact Sister Cities President, John Henry Fullen. 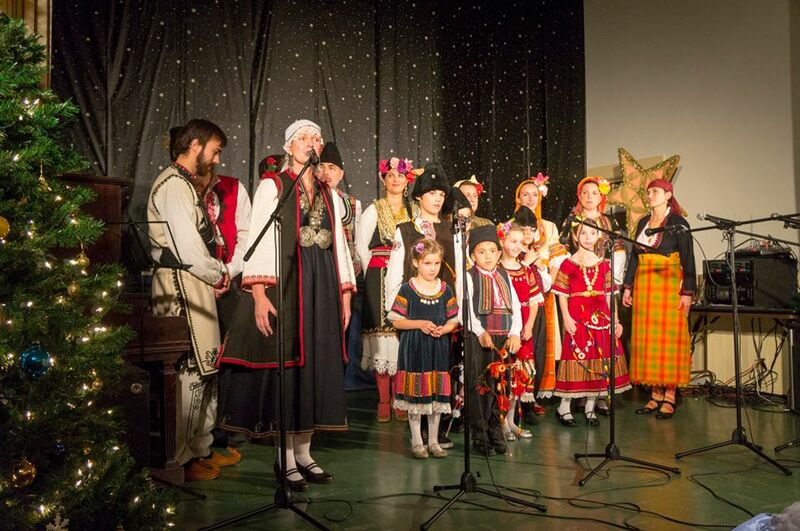 Łowiczanie Polish Folk Ensemble of San Francisco presented its 11th annual Slavic Choral Christmas Concert on Friday, December 12, 2014 with sponsorship from the Taube Foundation for Jewish Life and Culture. Guests were treated to a rich tapestry of seasonal carols and winter songs (including Christmas) from East-Central Europe and the Balkans. Traditionally-costumed community artists represented Bulgarian, Croatian, Hungarian, Jewish, Moldovan, Polish, and Ukrainian holiday traditions.